We offer a proven, easy to understand approach that comes with expert one-on-one guidance to ensure your success. 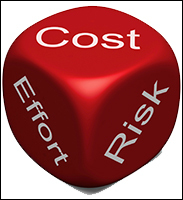 This approach works for new or existing implementations to help reduce cost & effort. This change applies to all public companies. Your internal controls will need to be revisited by Dec. 15, 2014 to meet this significant legislative change. We offer a complete start-to-finish solution to show you how to meet these new requirements. Is it time to adopt bigger company procedures to help your team execute bigger plans? We'll show you how to get there and exactly what to do. Looking for COSO 2013, SSAE 16, or Internal Control Assistance? Demonstrated audit success at companies from a diverse mix of industries. Clients have achieved significant reductions in existing control counts and ongoing effort while achieving compliance on a global scale. We walk you through industry best practices, by process, and we customize your procedures with you based on your Company objectives and goals. We offer consistent expectations and results. Buy only what you need. Scale as you grow. The Vibato solution includes everything needed to assess, document, and test, but most importantly, understand your internal control system and why your procedures may need to change to meet your audit requirements or how your procedures may be improved to save time and money. "We selected Vibato based on the effectiveness of their approach. They have made the entire implementation process painless and efficient while providing expert guidance and training to our staff to help us put our controls in place quickly and with minimal disruption. They are exceptionally responsive and professional and they have advocated on our behalf with our auditors, while performing our ongoing testing work. I would highly recommend their products and services to anyone who wants to experience value from their internal control environment, not to mention their pricing is totally reasonable given what we were able to achieve." Pauline Mak – Director of Finance, diaDexus, Inc.